Life has a tendency of throwing unexpected curve balls our way. Be prepared with Platinum Protection Plan, available at Honda of Morristown in Morristown, TN. Fast, 24-hour response are just two of the many reasons drivers choose it first. You’ll enjoy the secure feeling and freedom that comes with knowing you and your investment are protected 24 hours a day, seven days a week. Get in the driver’s seat today with Platinum Protection Plan! Your are covered for emergency road service throughout the U.S. and Canada. Won’t increase your vehicle insurance premiums, if used. At your convenience, repairs can be done at the dealership, your home or office. In the event your key/remote is lost, stolen or destroyed, we will pay for the replacement key/remote. Reimbursement is provided should the tire become non-repairable due to impact with a curb or median, snags, cuts, punctures or other road hazards. Reimbursement is provided for the cost of mounting and balancing for any tire covered by your agreement. We will absorb the cost of all local and state taxes, where applicable, as required as part of a covered repair. Developed for the automotive industry by automotive manufacturing teams utilizing special tools and techniques to push dented metal back to its original form. This process permanently removes door dings and minor dents without harming a vehicle’s factory finish. Whenever you are driving, you will enjoy the secure feeling of knowing that you are protected by the Nation Safe Drivers Platinum Protection Plan. 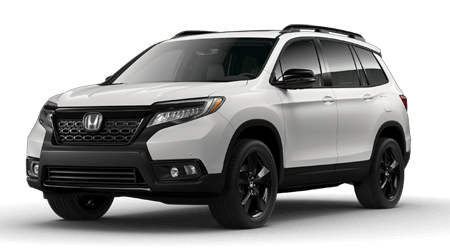 If you’d like to learn more about Platinum Protection Plan in Morristown, TN, drop by Honda Morristown at 4190 W Andrew Johnson Hwy, Morristown, TN 37814. We look forward to serving our customers from Knoxville!